This coin is the newest addition to the Mohur family of coins, whose history stretches back nearly a full millennium. The Mohur was a gold coin that was introduced in the 16th century by various Mogul princes and subsequently used by the British as the standard gold coin of India. The Mohur coin bears the emblem of possibly the most important international company in the history of world trade - the East India Company. 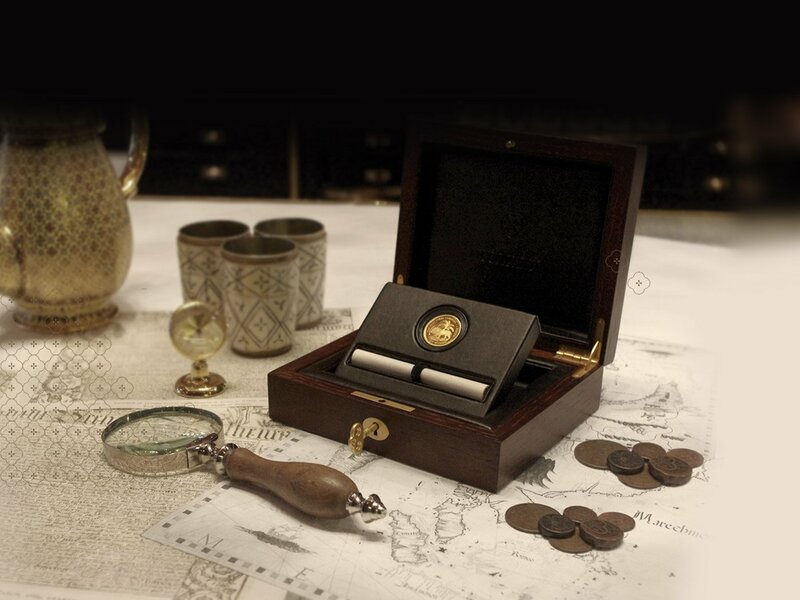 Founded in 1600 under a Royal Charter signed by Queen Elizabeth I, the company traded in precious metals, spices, tea and fine fabrics, and some seven decades later was granted the right to mint its own coins in overseas territories it administered. It was the world’s first and mightiest multinational corporation. It is no exaggeration to say that it created the infrastructure on which the expansion and maintenance of the whole British Empire was based. 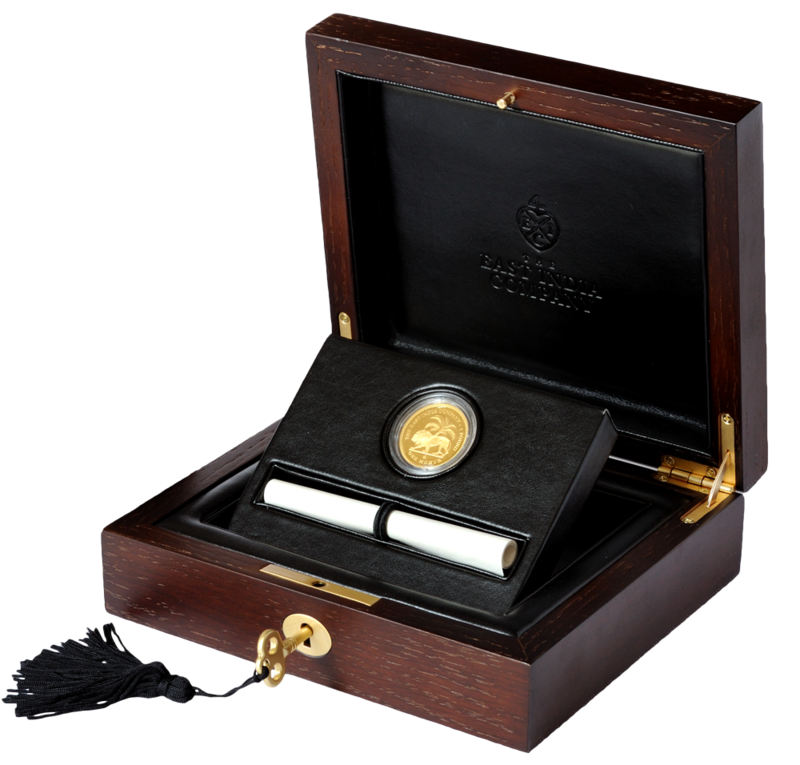 In 2005, the company was re-launched as a global trader by the Indian entrepreneur Sanjiv Mehta - and it is under his guidance that the company has re-activated its coin-issuing traditions with strictly limited edition pieces such as the 2016 full Mohur Gold Proof Coin. 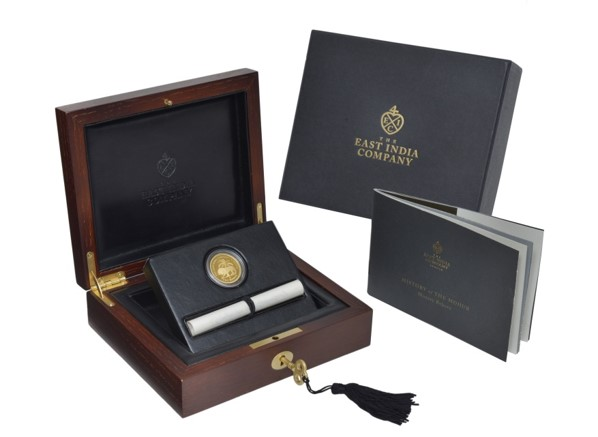 At its height, the East India Company was so powerful that it issued its own Mohur coins featuring the portraits of King William IV and Queen Victoria, struck in gold and silver, thus becoming the only private company in history to issue coins on behalf of the Crown. 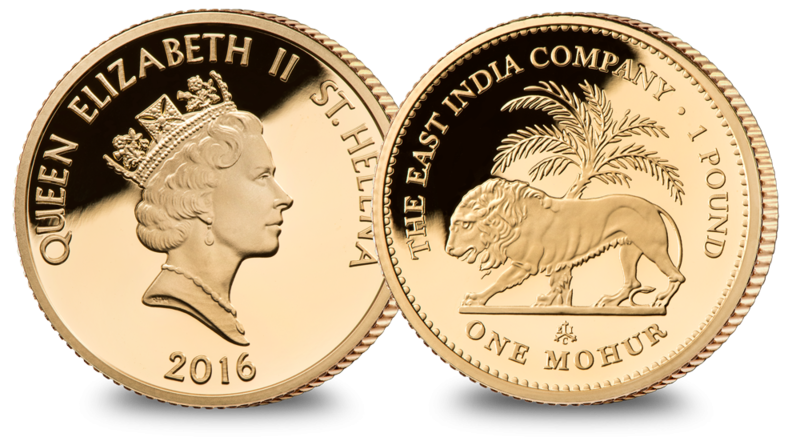 It is in keeping with this tradition and precedent that this Mohur gold coin has been designed and issued, this time under the authority of the British overseas territory St Helena and Ascension Islands, where the coin is legal tender. St Helena and Ascension Islands were, after all, an East India Company territory after the company was granted a charter to govern the island in the 17th century.